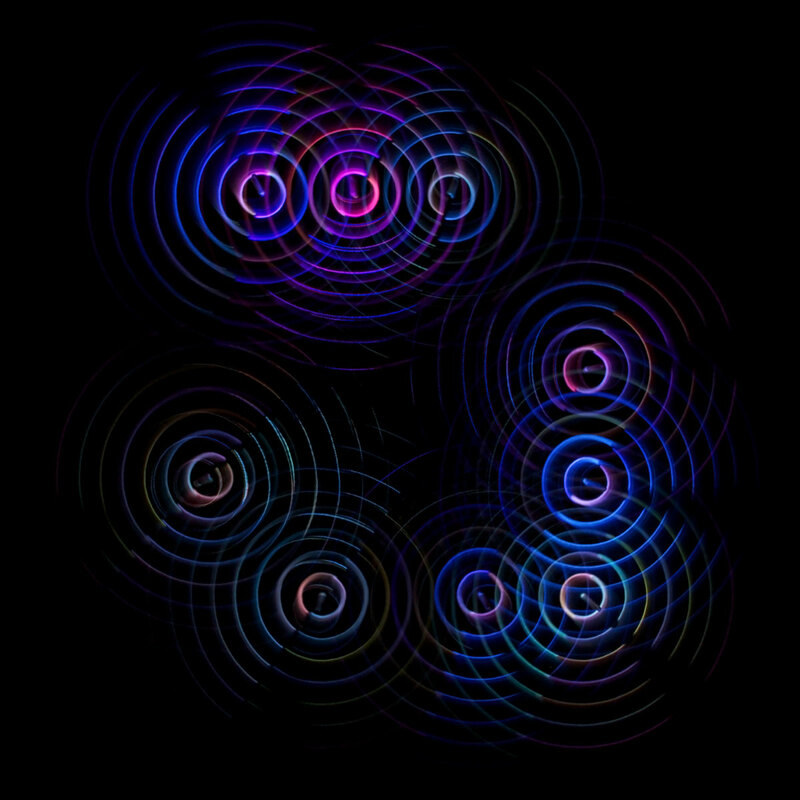 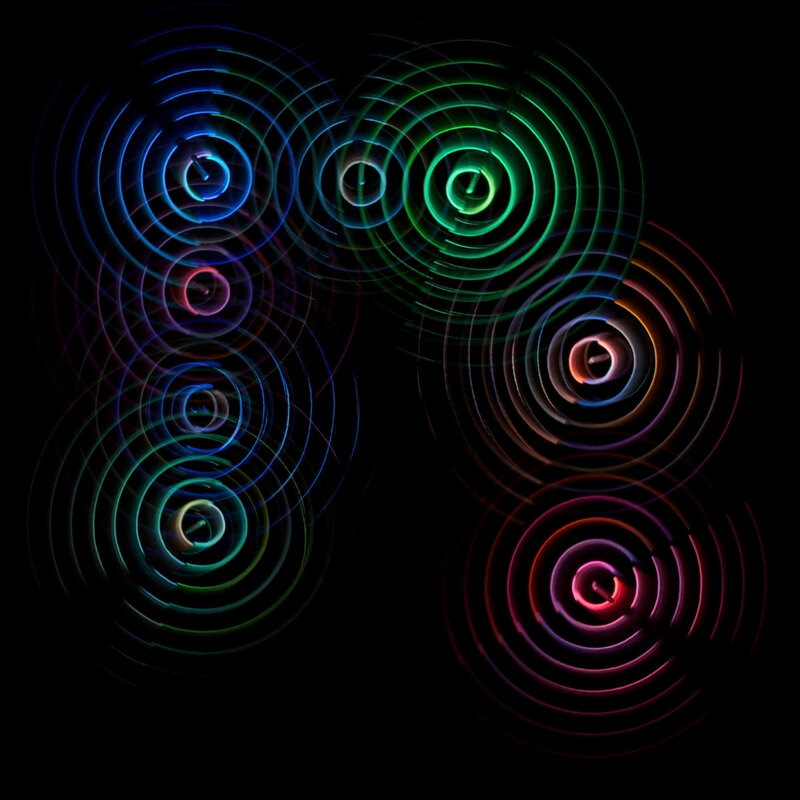 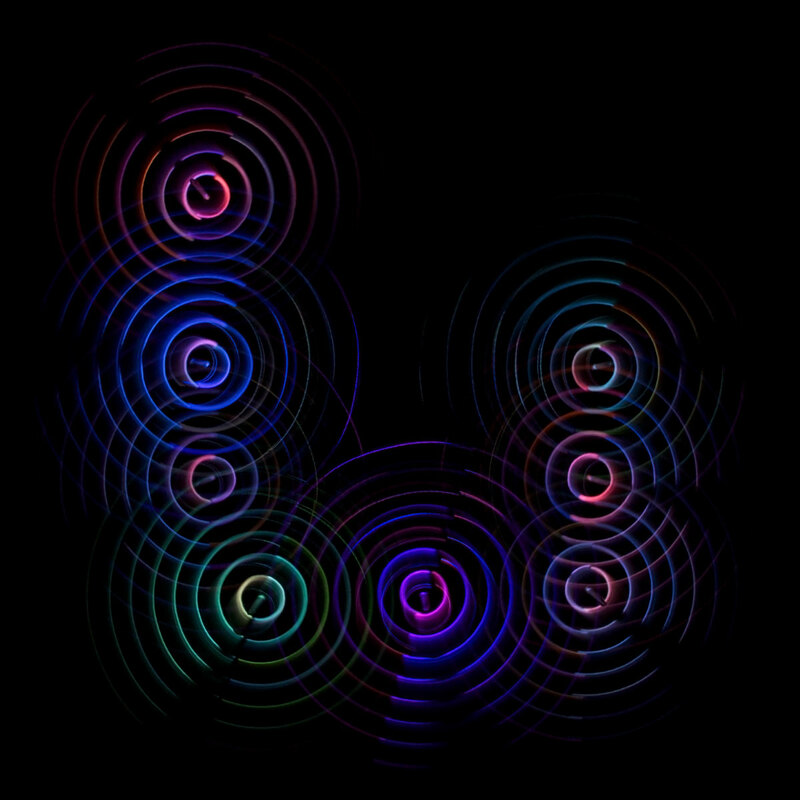 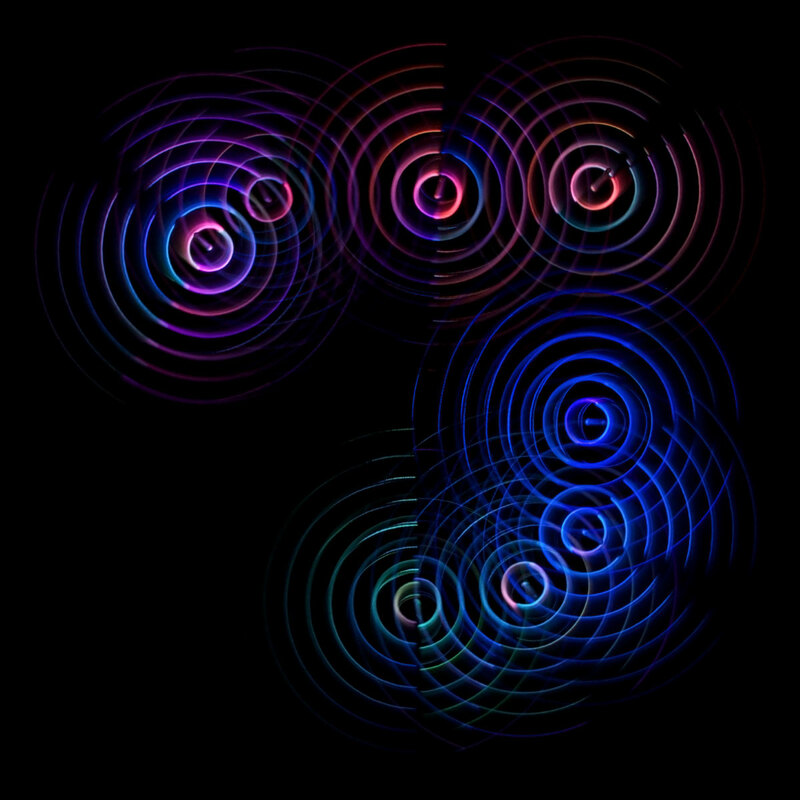 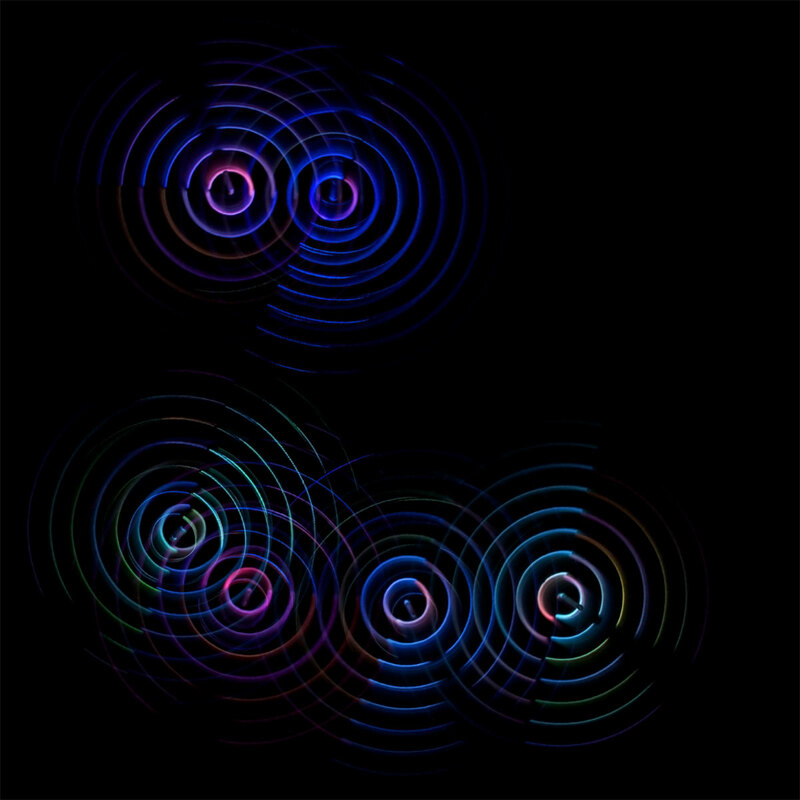 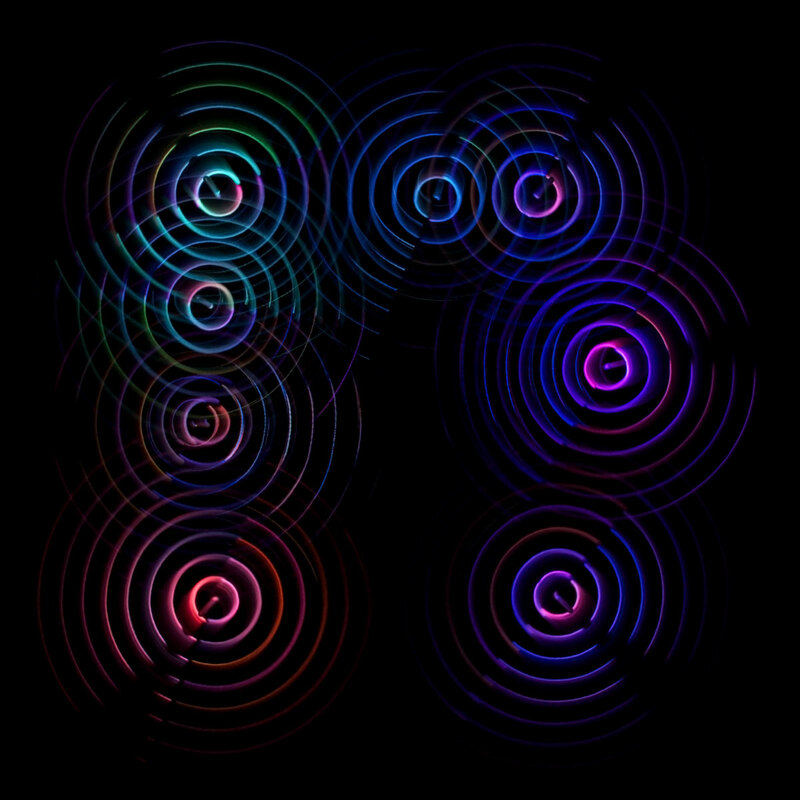 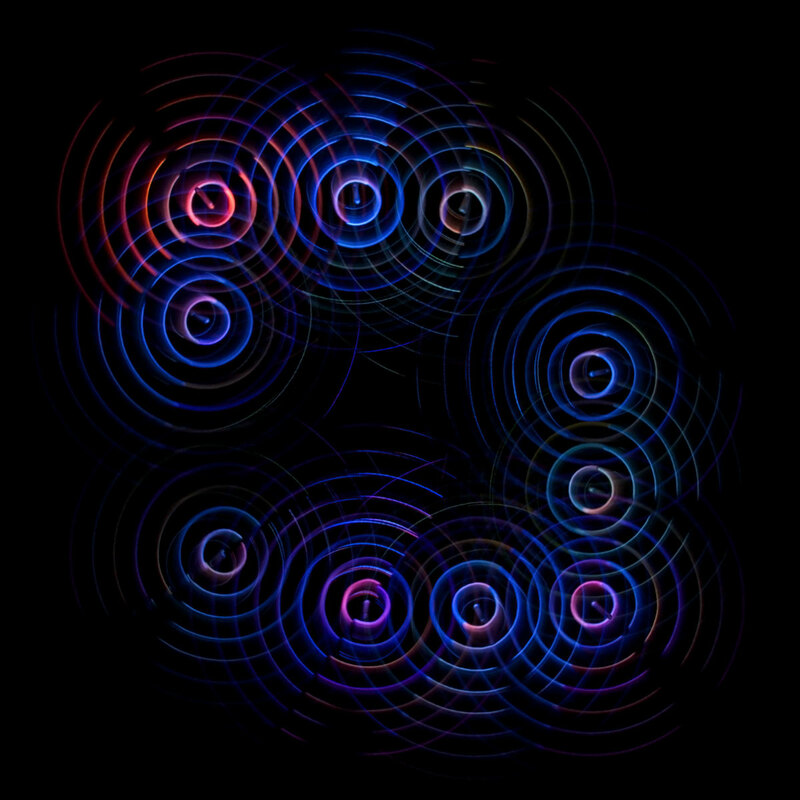 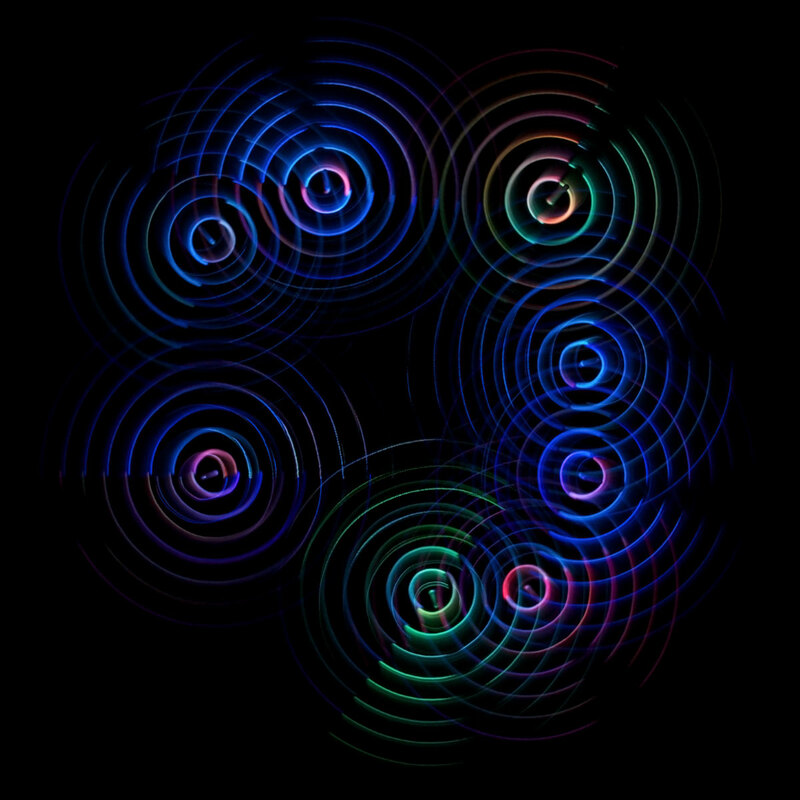 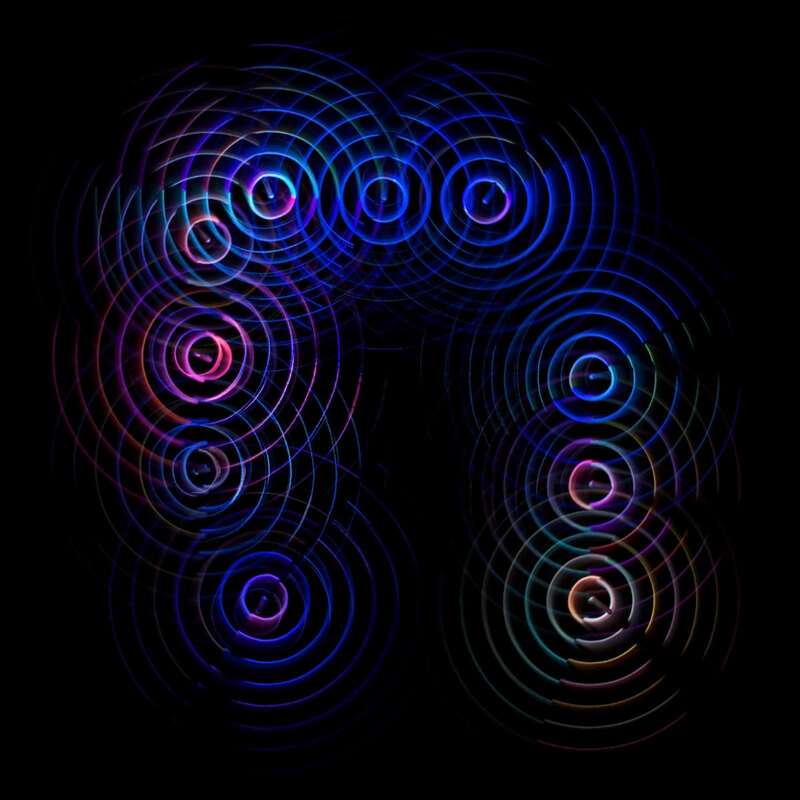 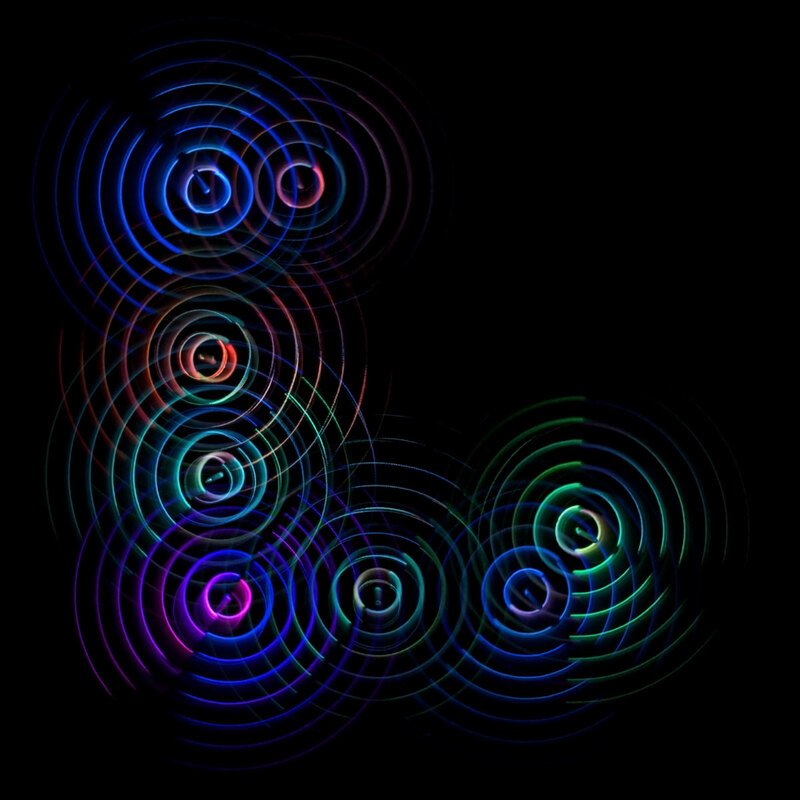 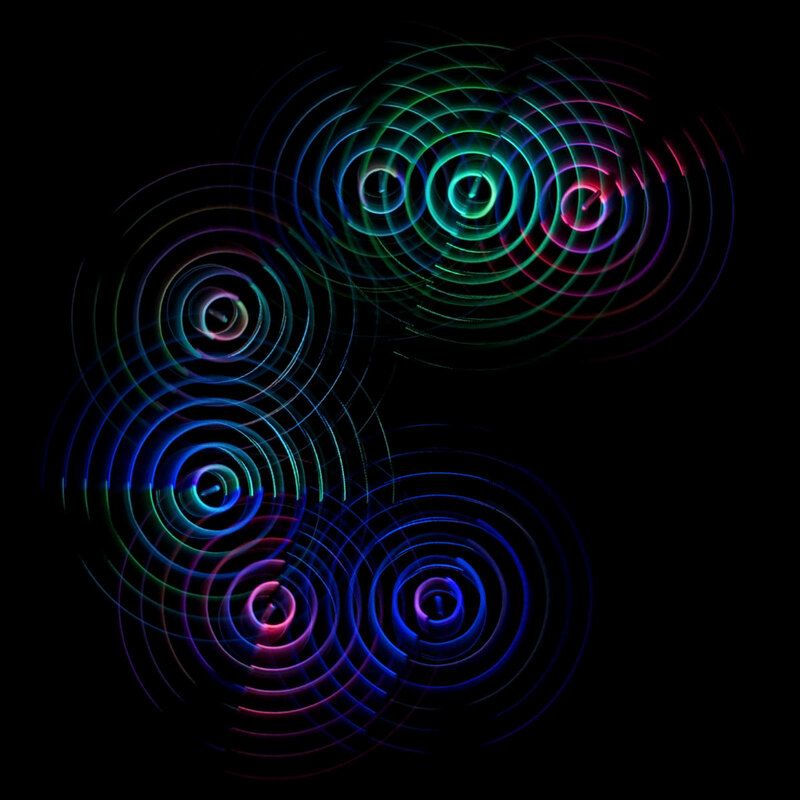 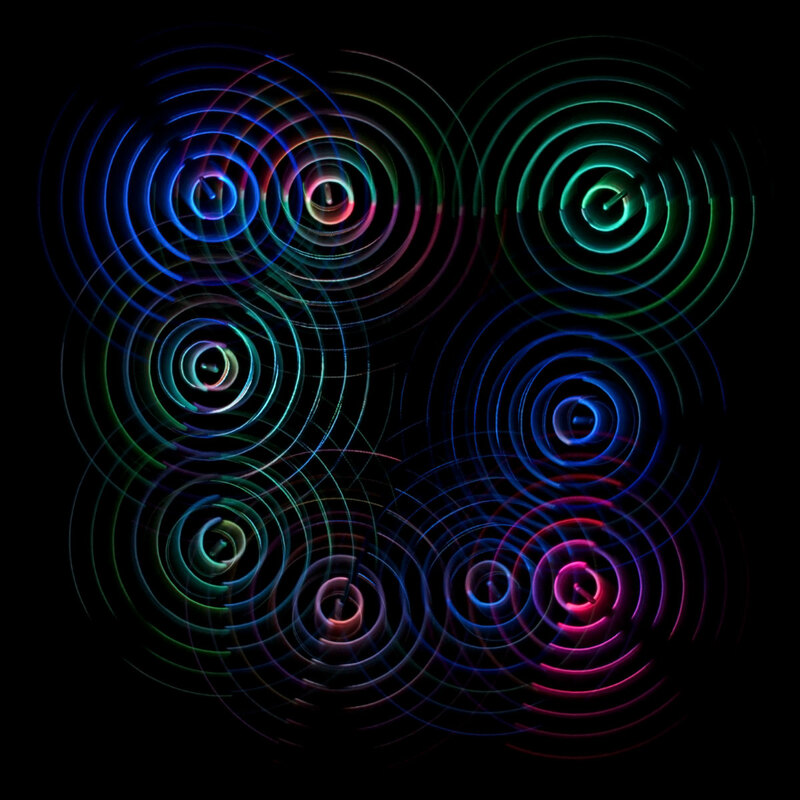 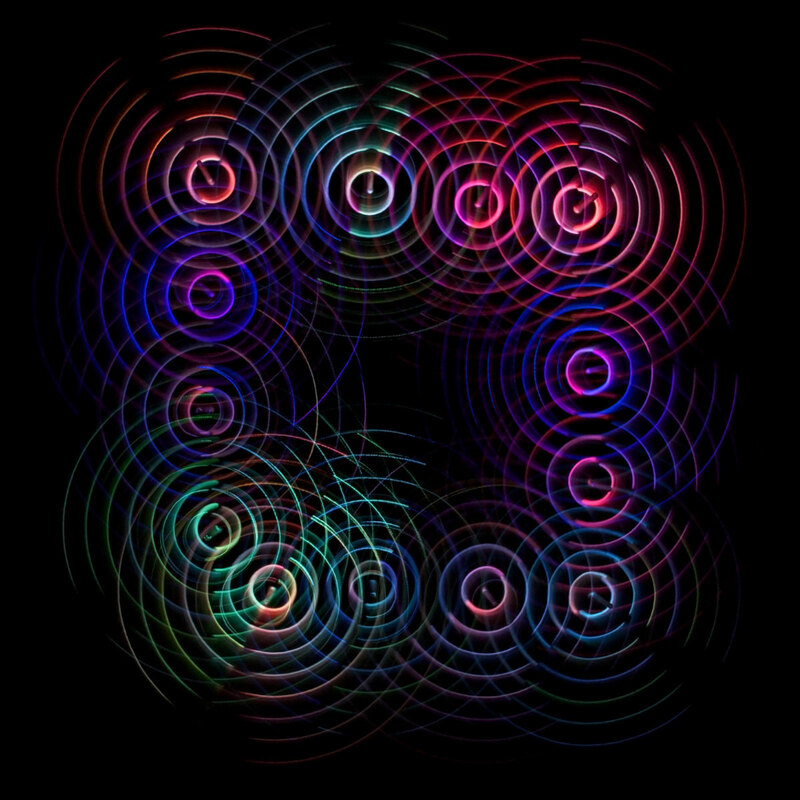 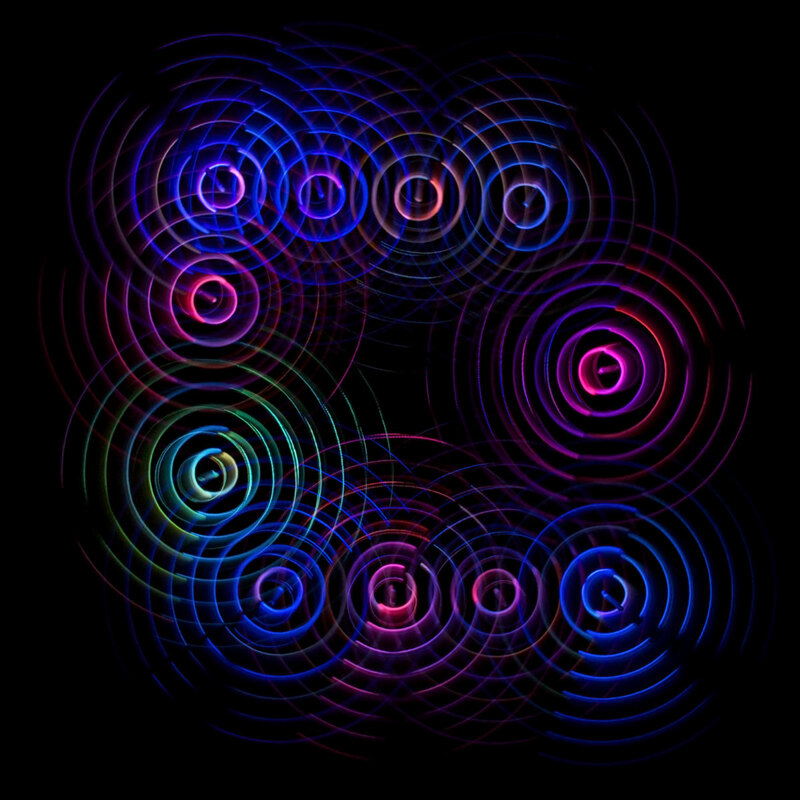 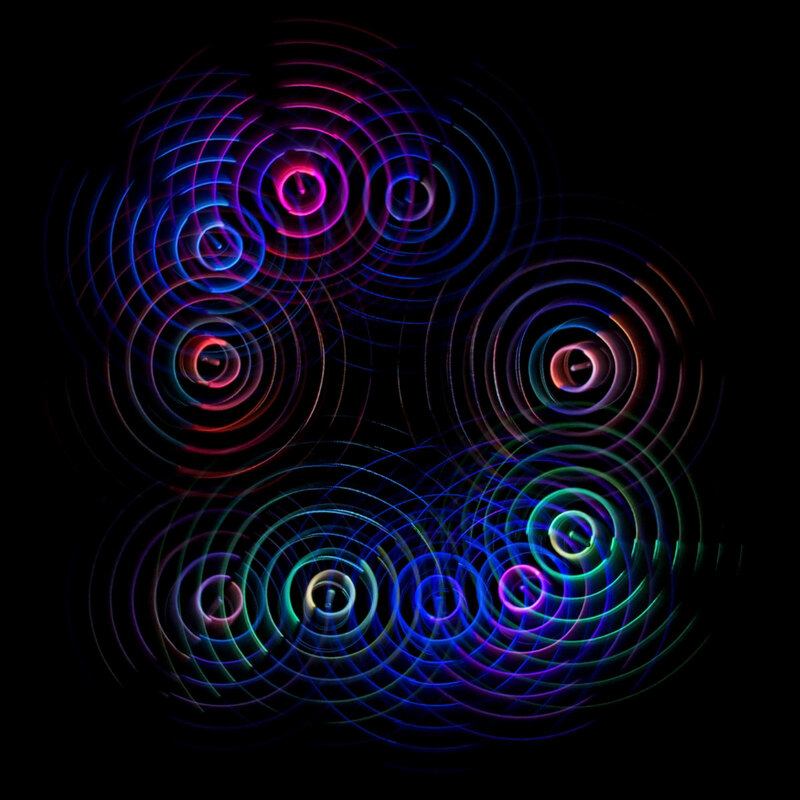 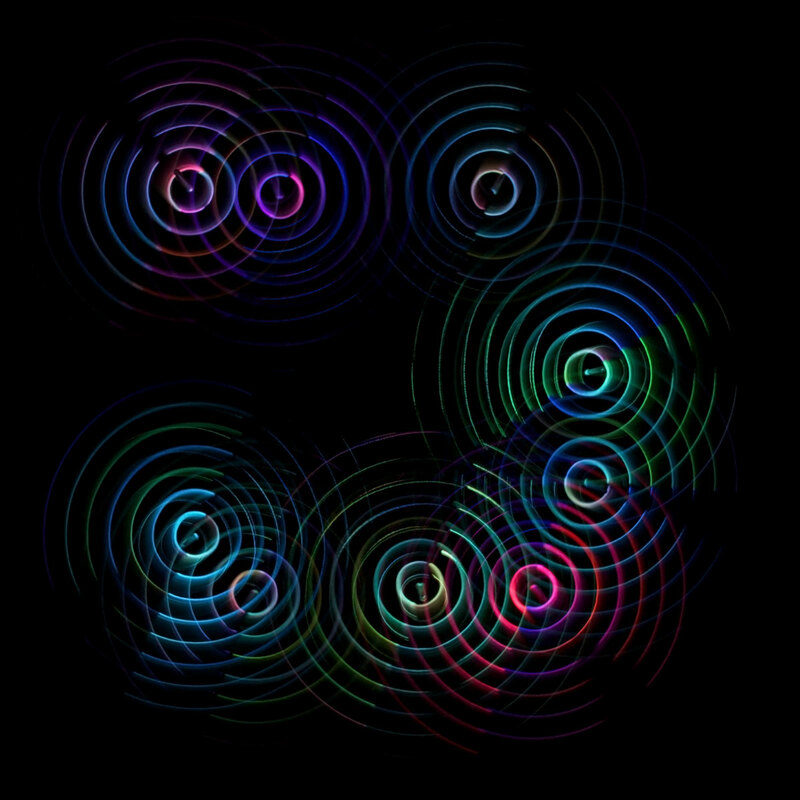 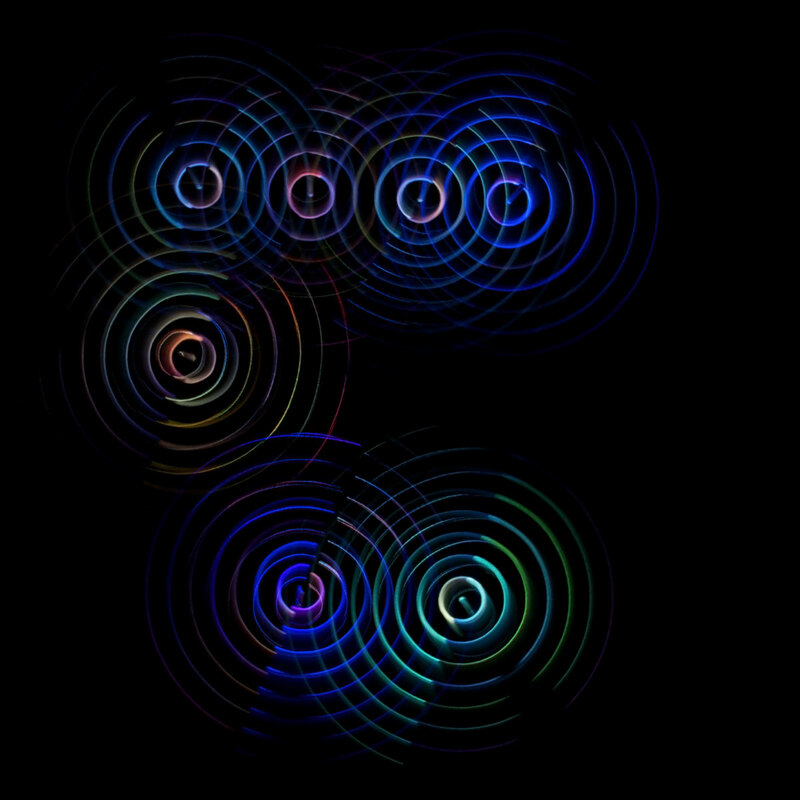 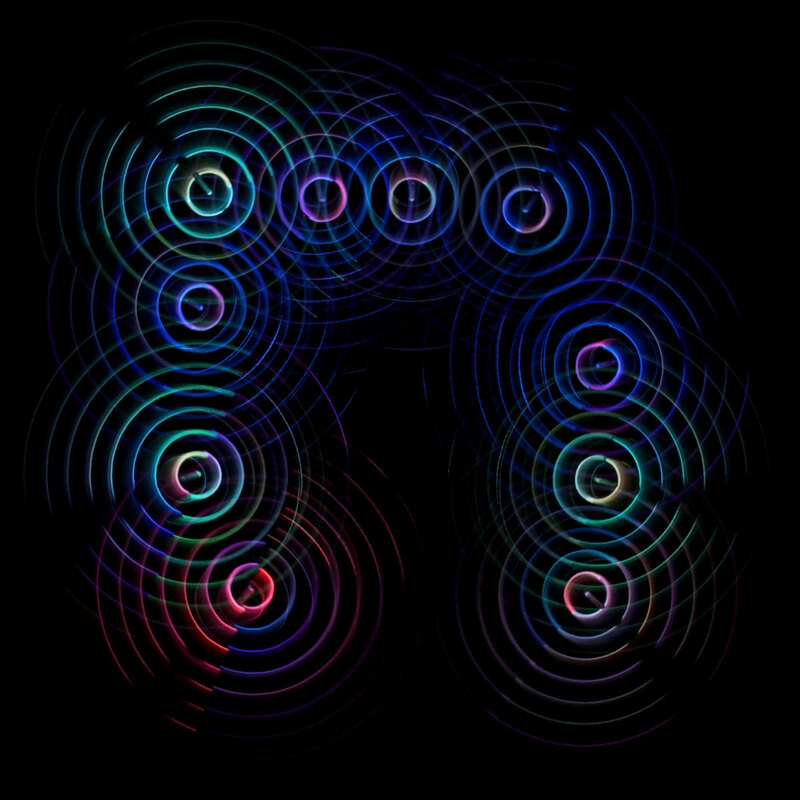 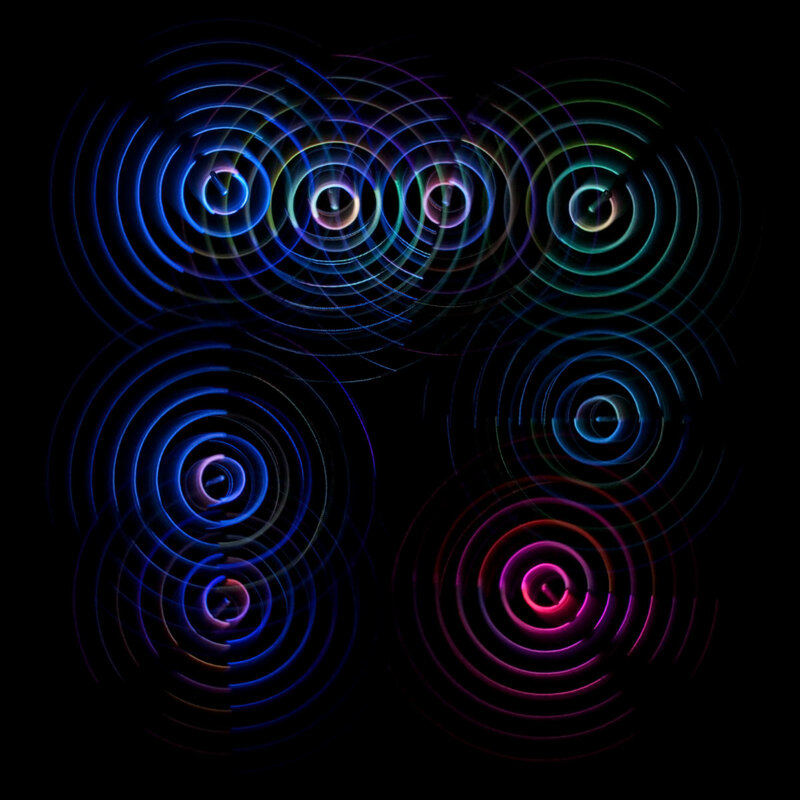 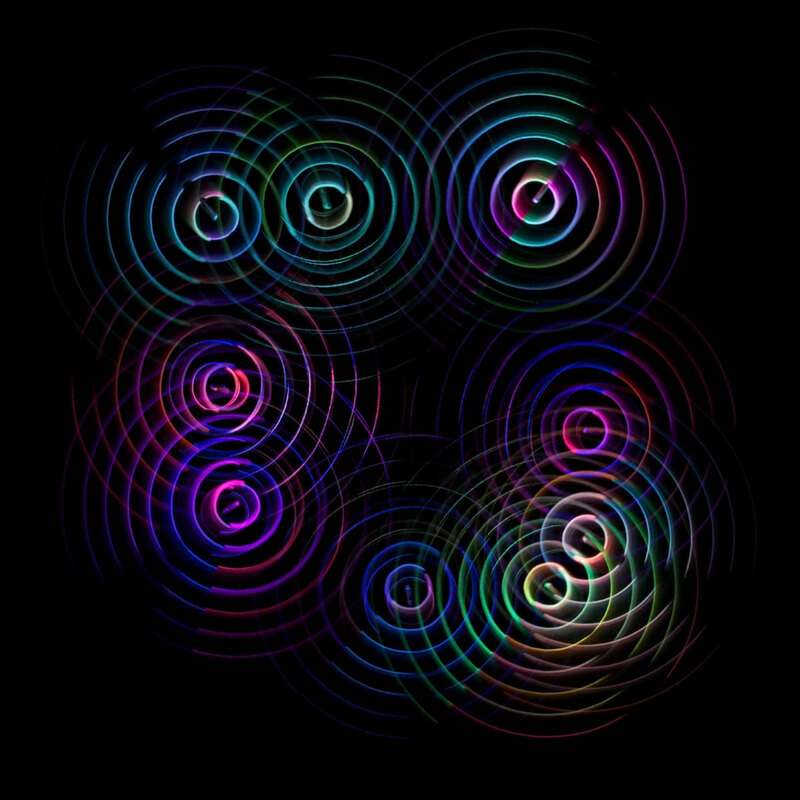 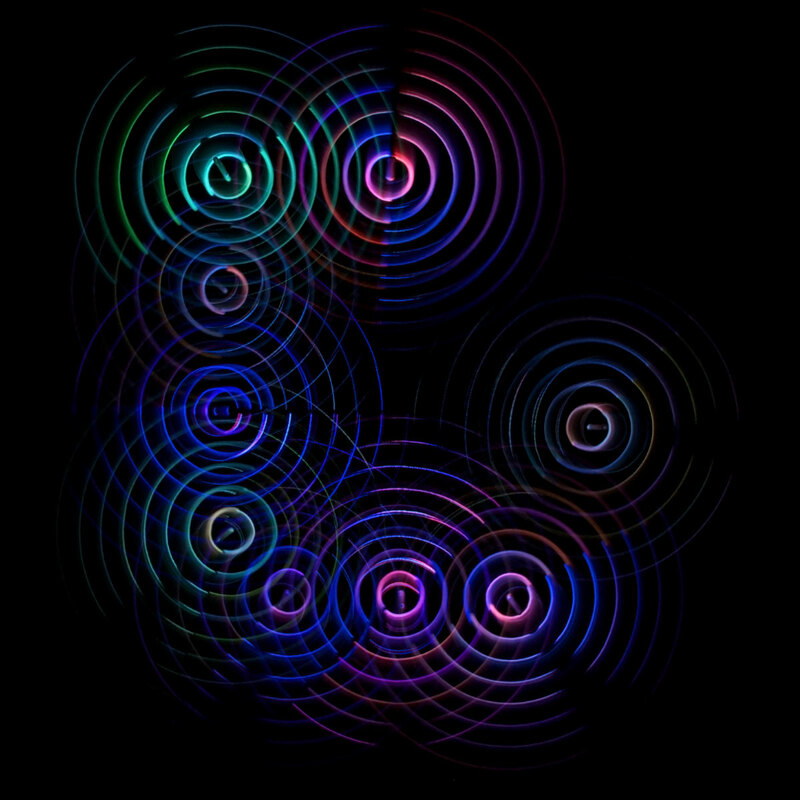 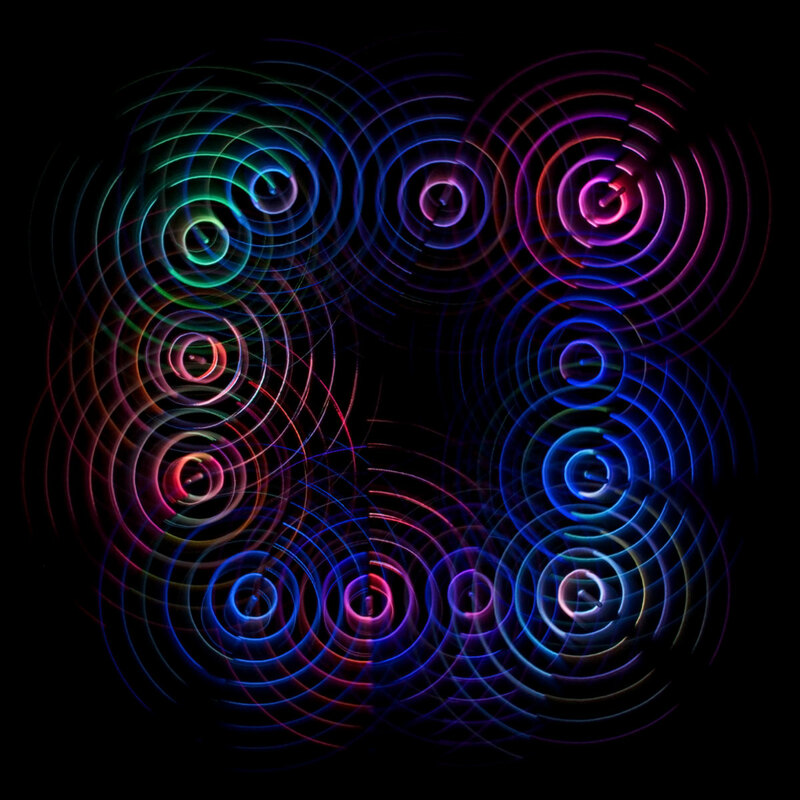 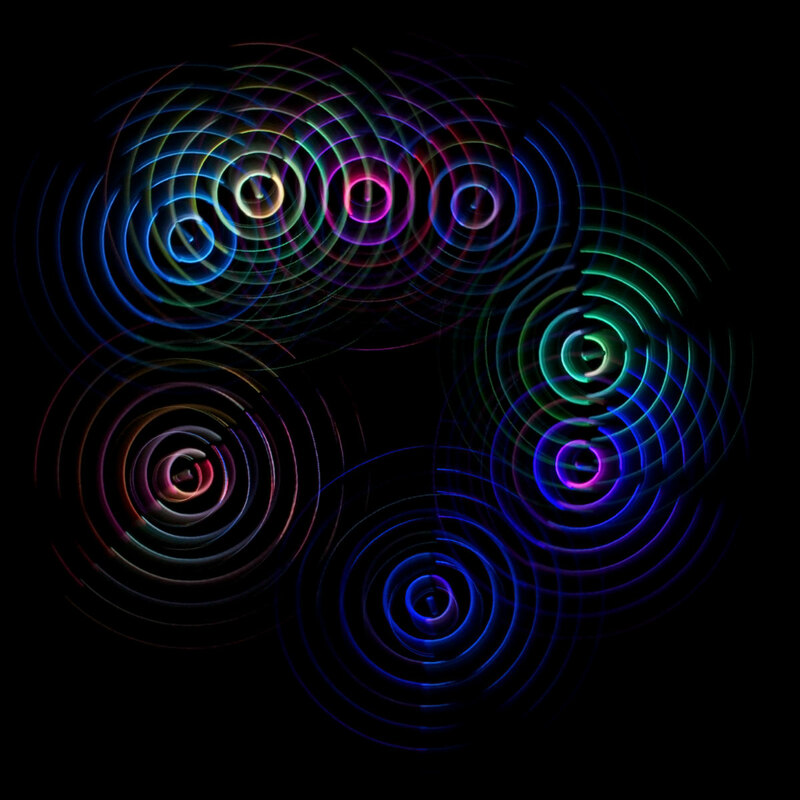 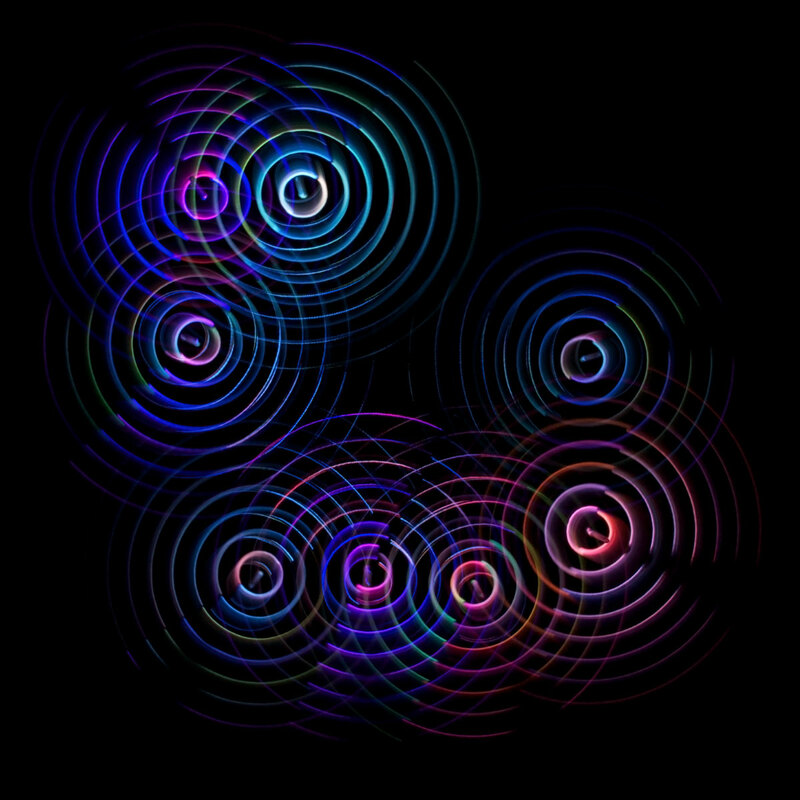 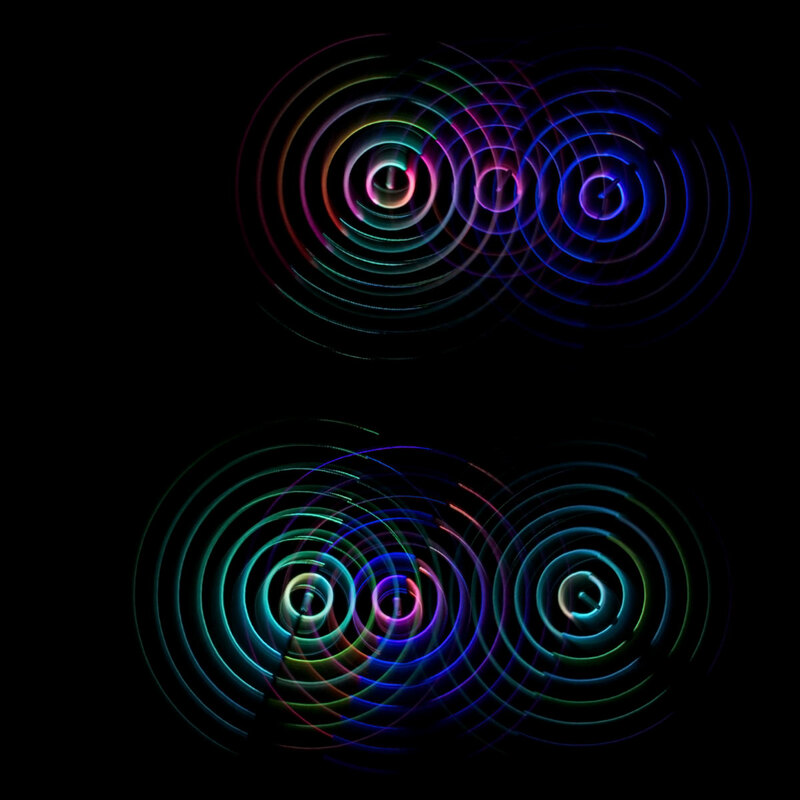 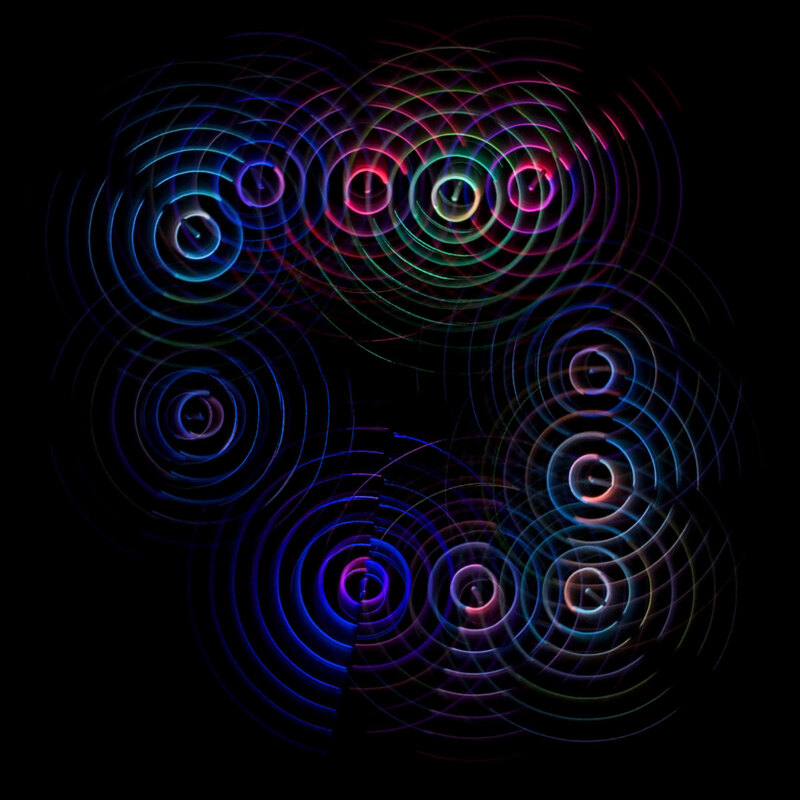 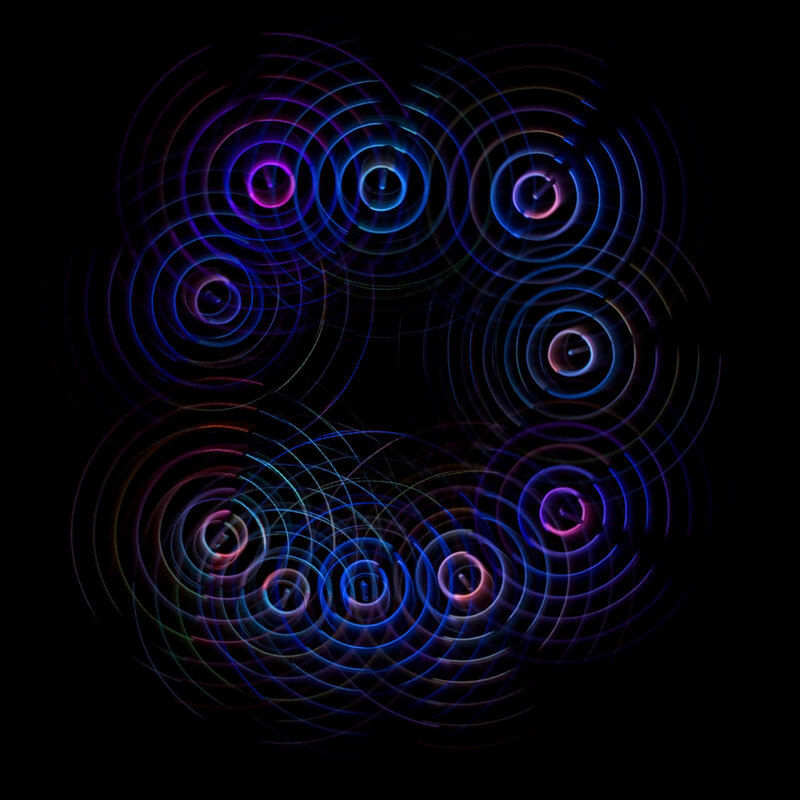 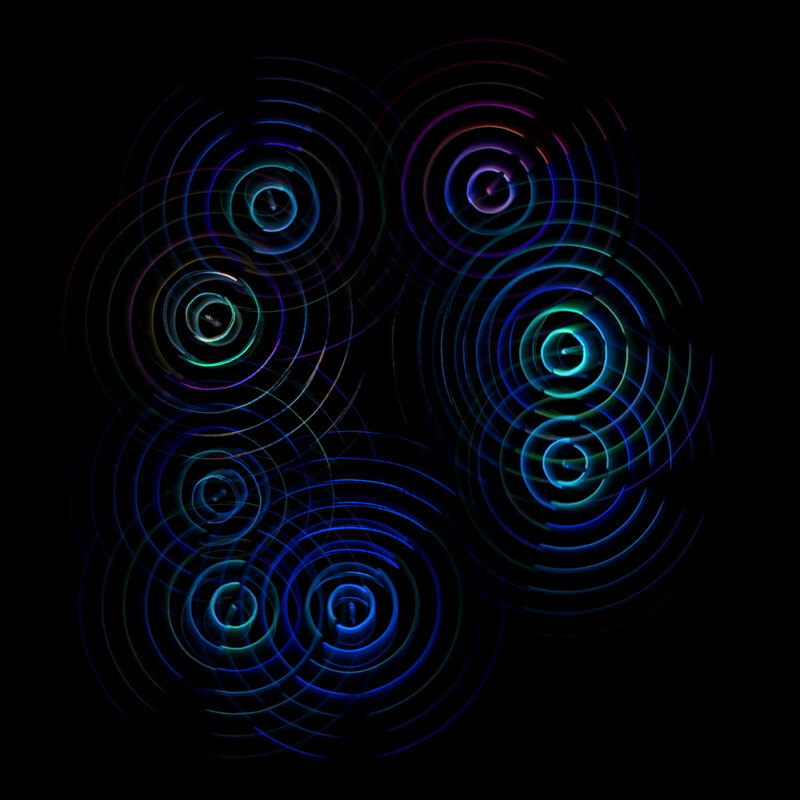 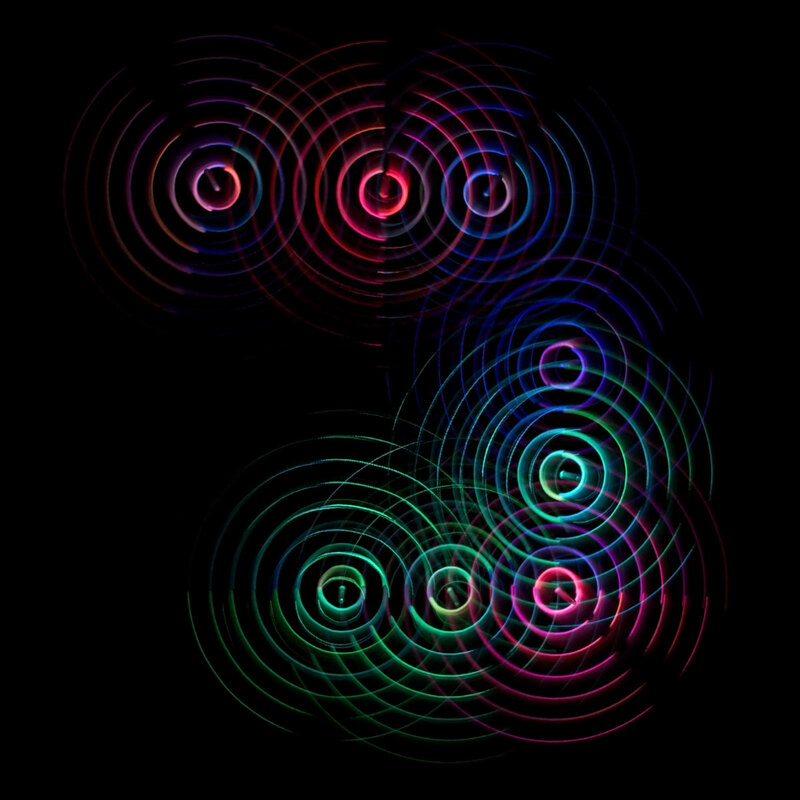 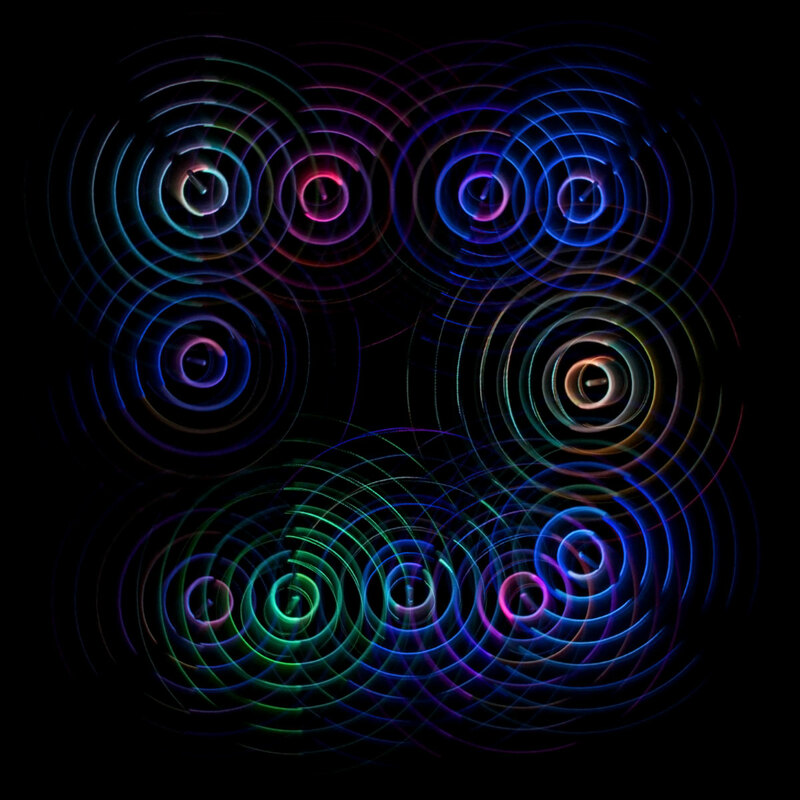 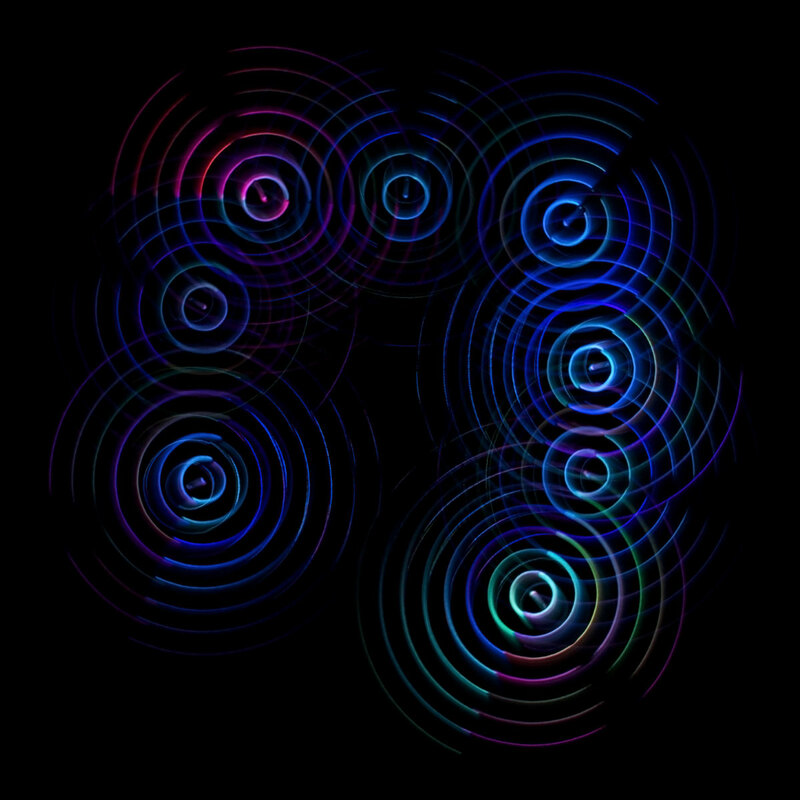 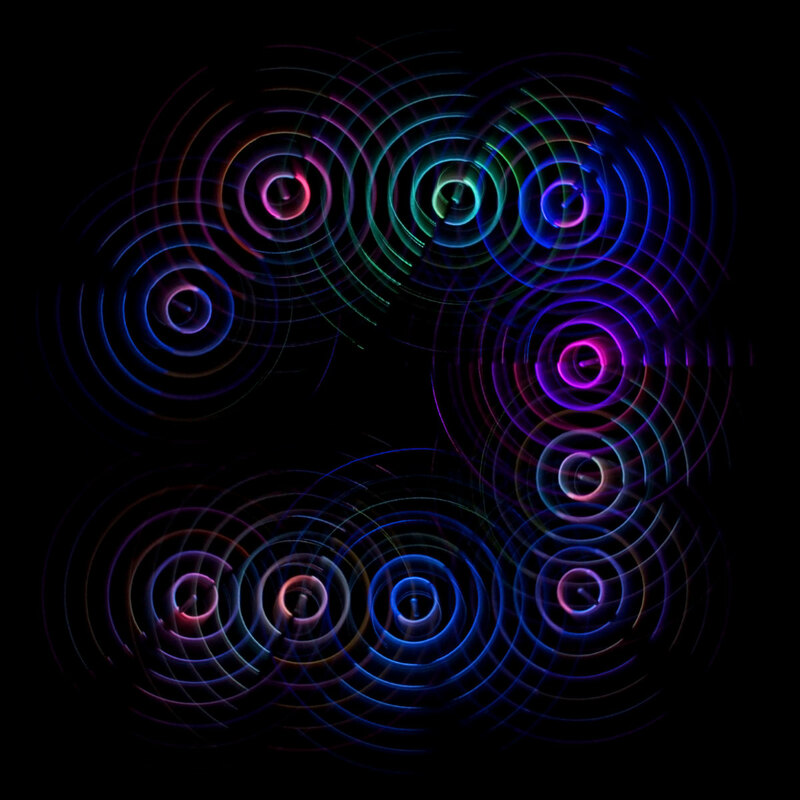 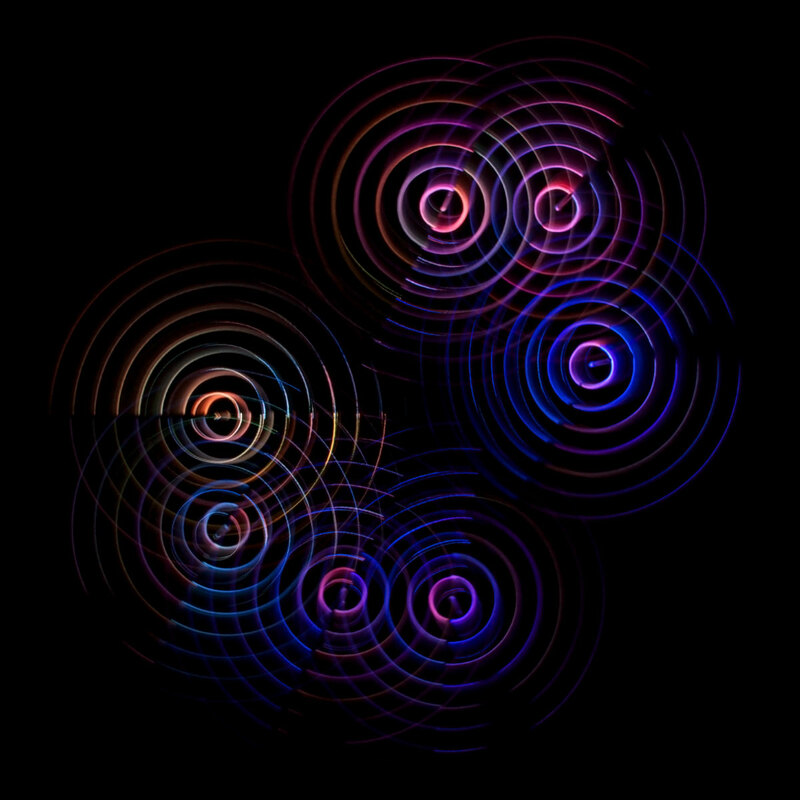 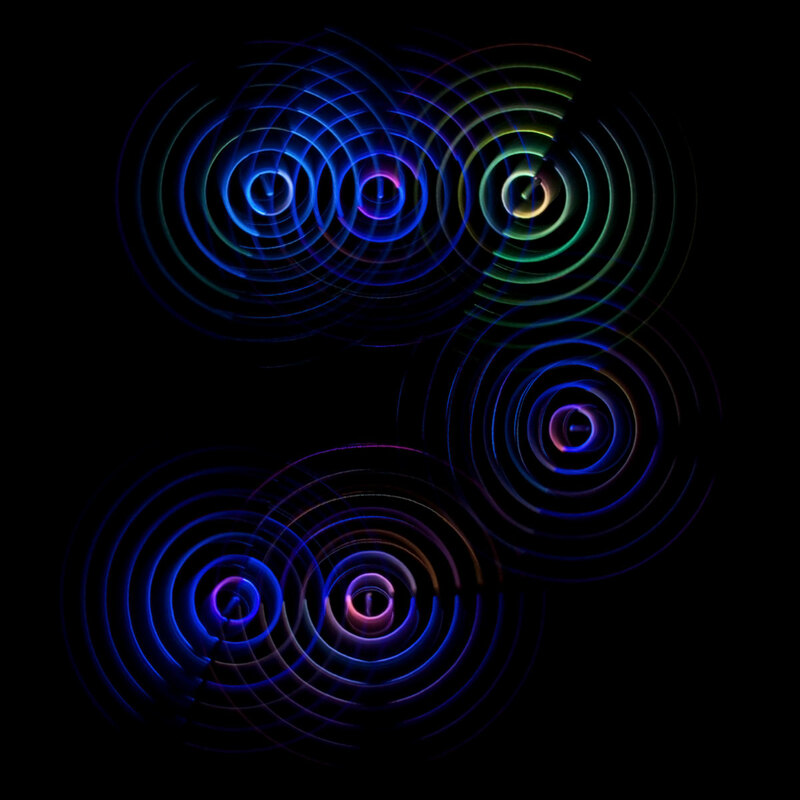 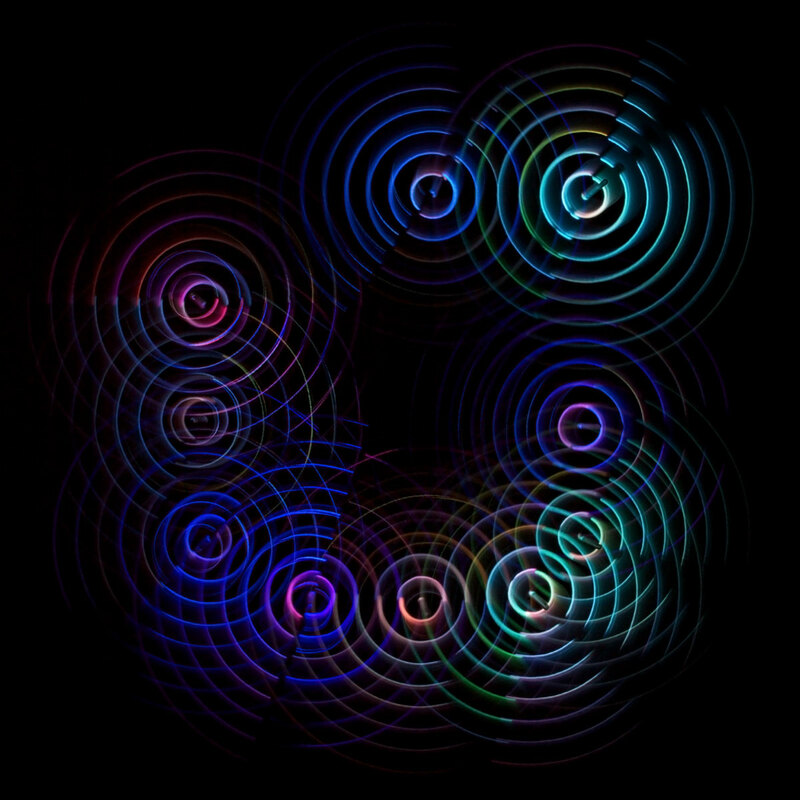 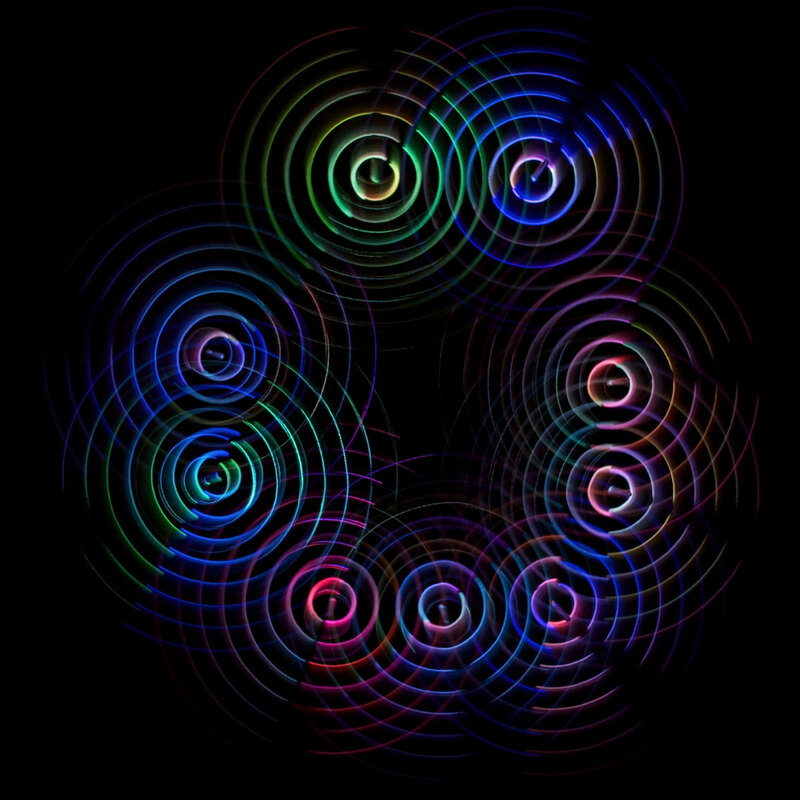 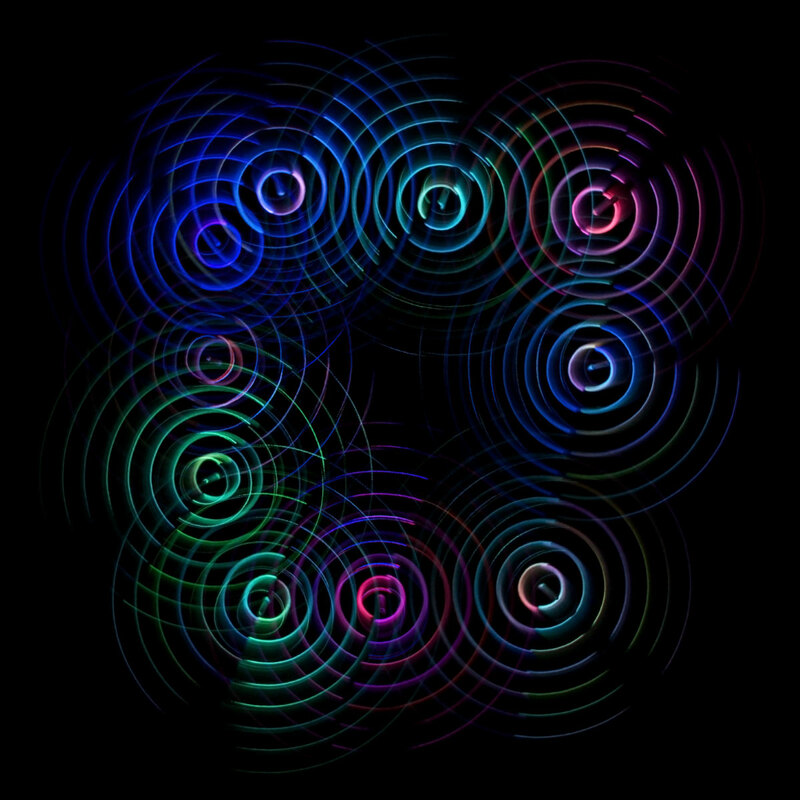 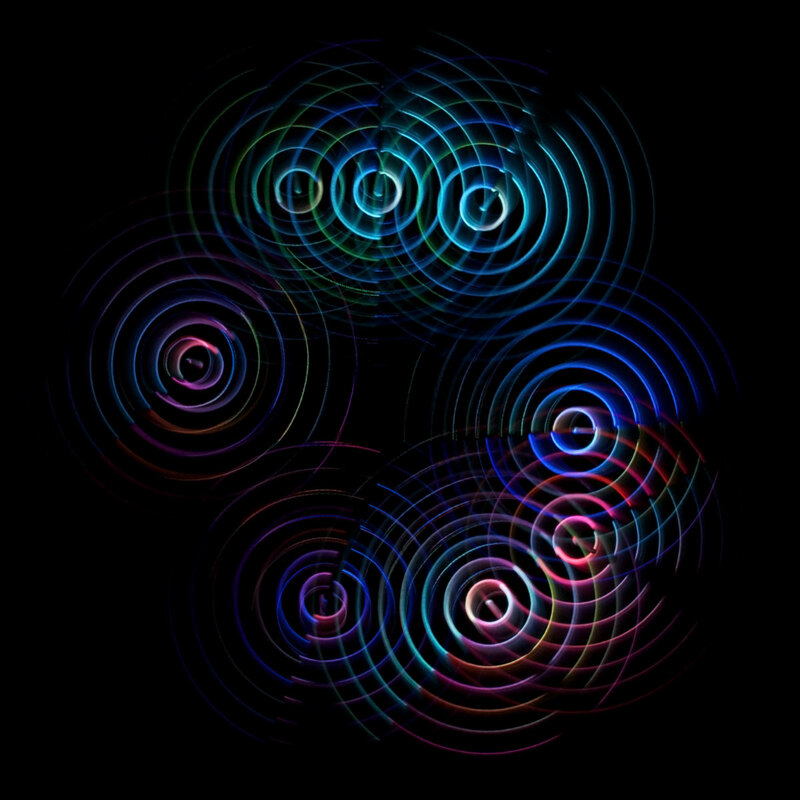 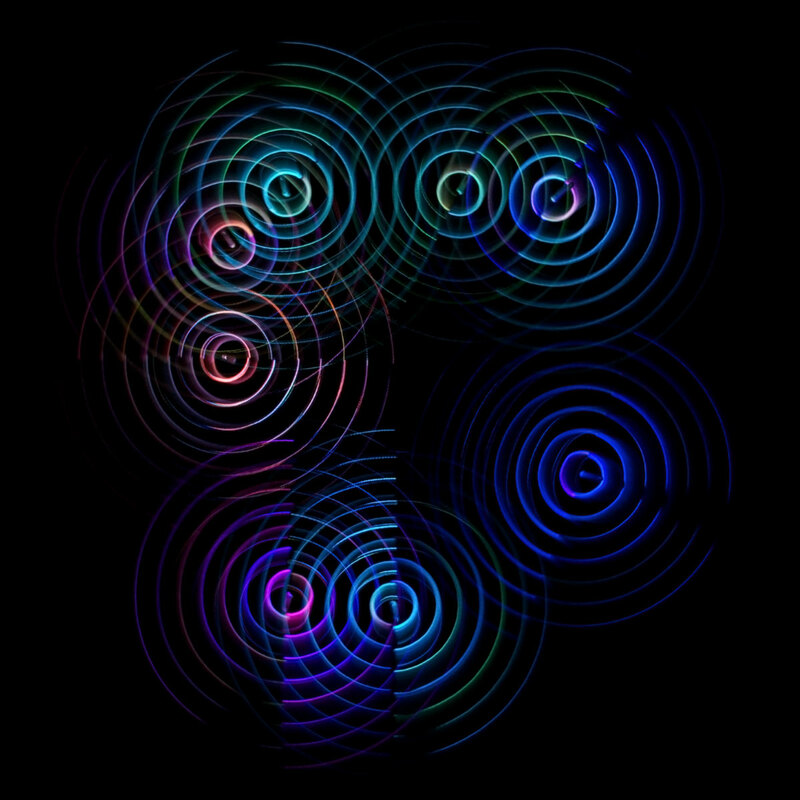 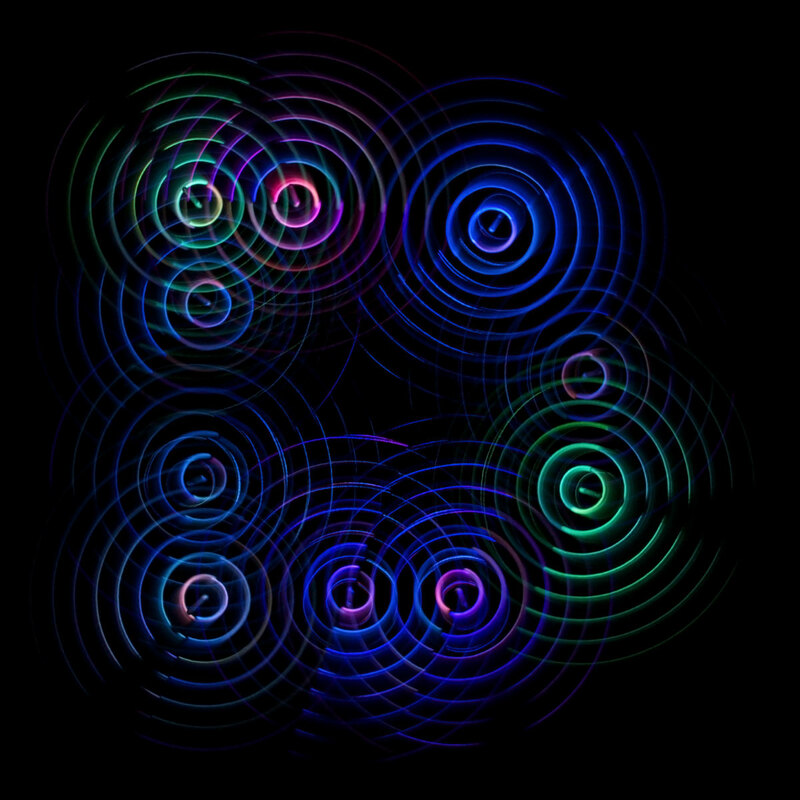 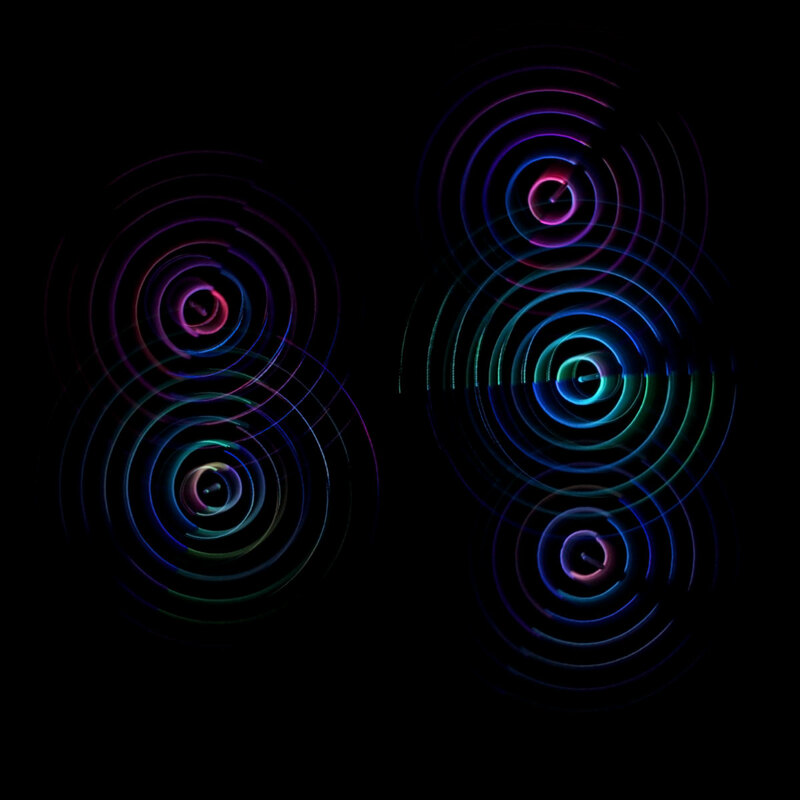 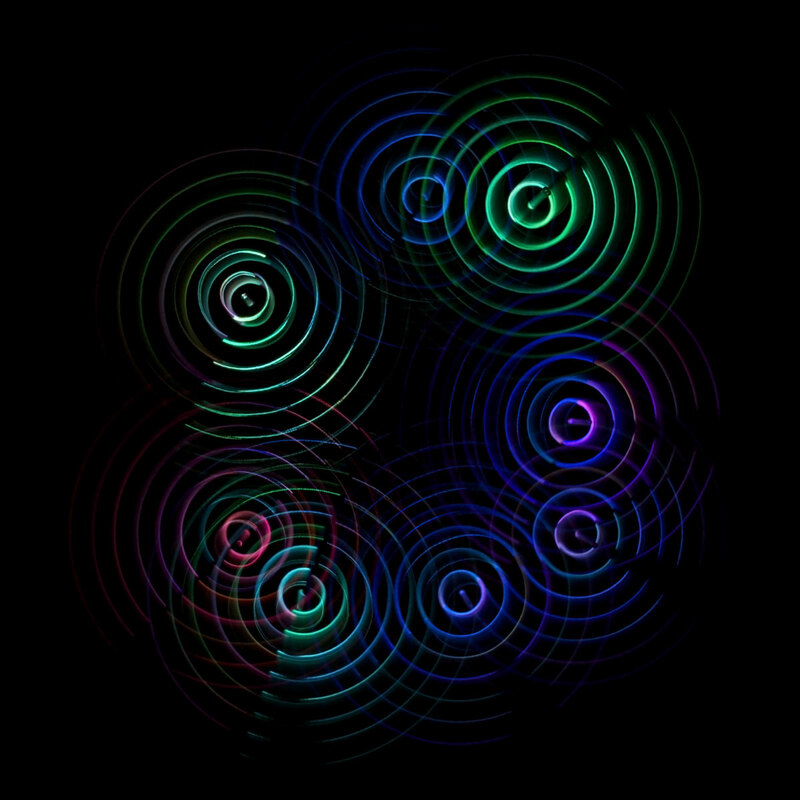 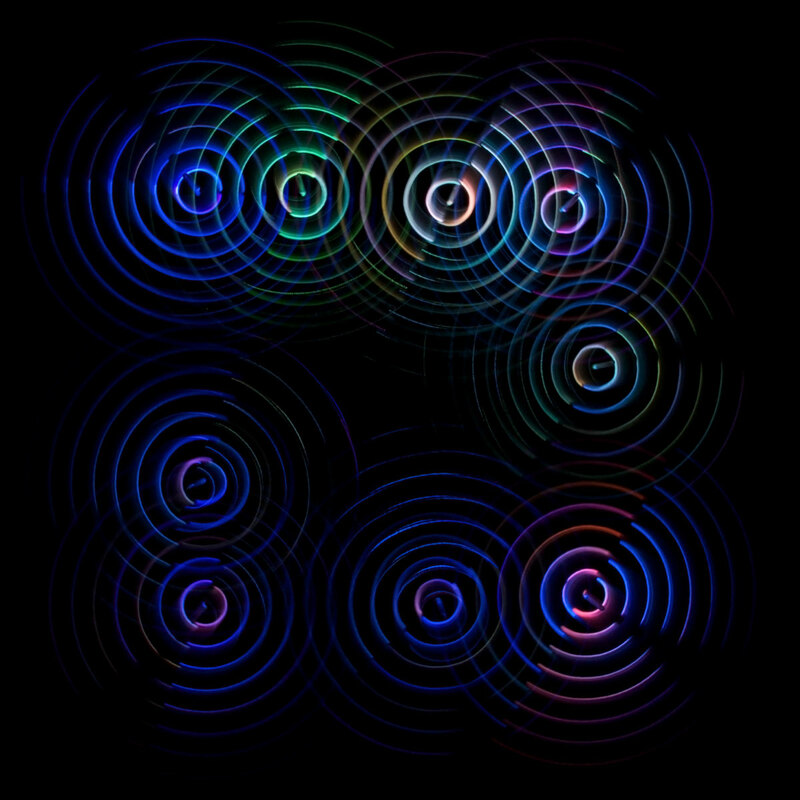 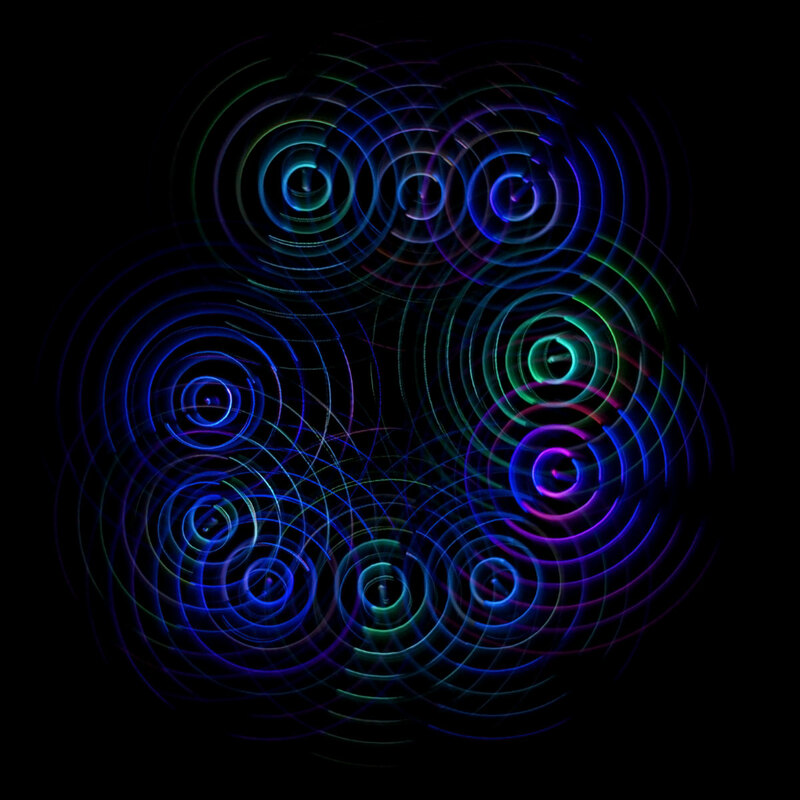 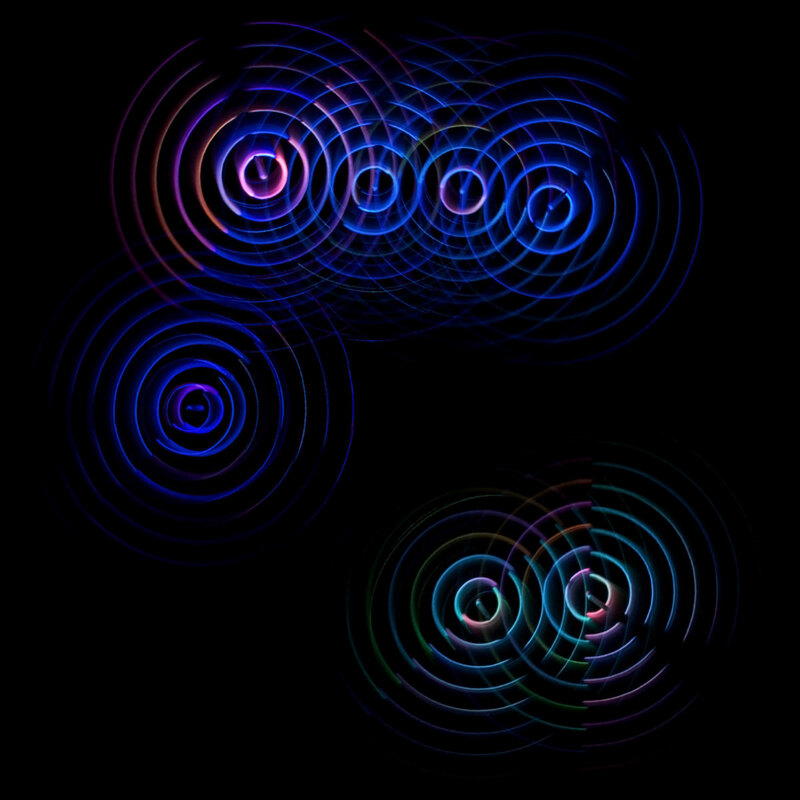 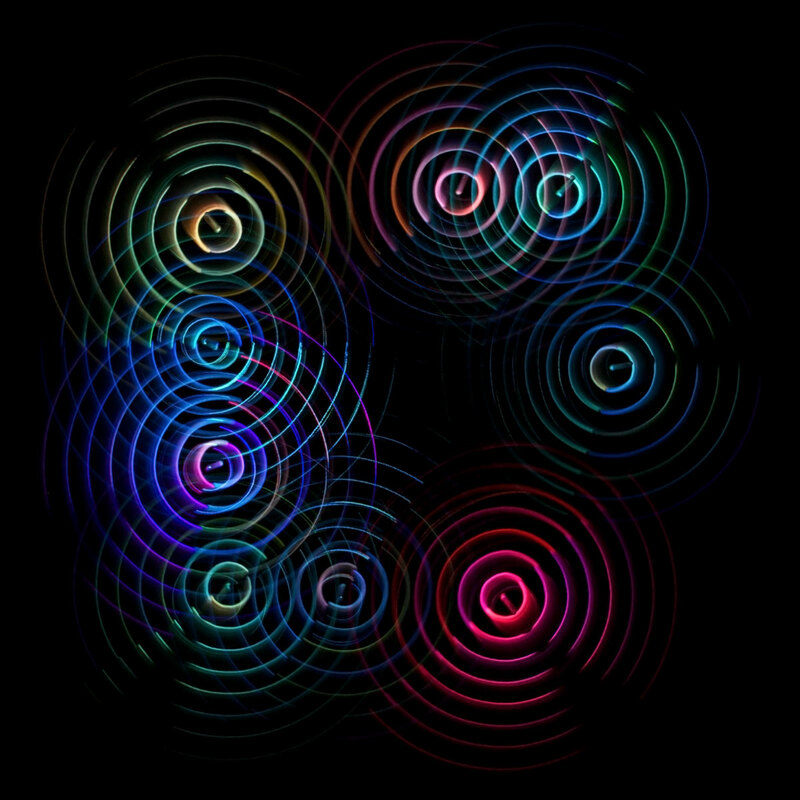 "Variations on Pi" is a limited edition of 50 unique light paintings. 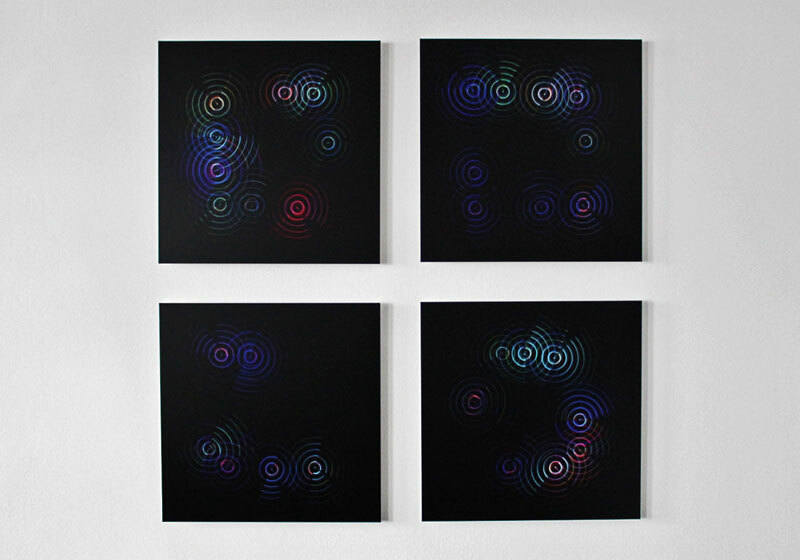 Each one of these paintings is based on a different range of consecutive decimal places of the number pi (3,14159... the mathematical constant which is the ratio of a circle's circumference to its diameter). 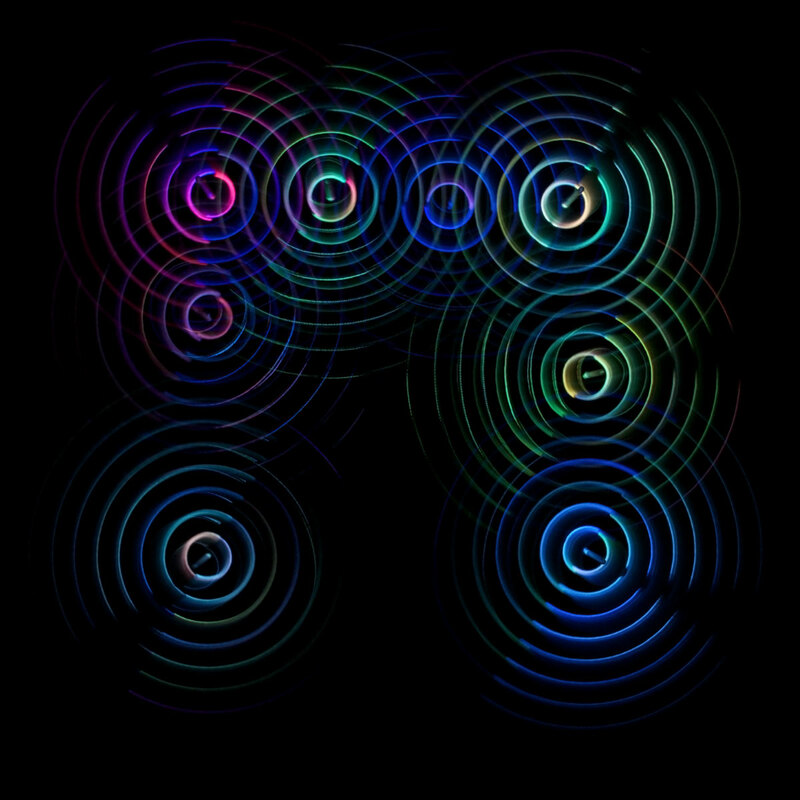 Whilst a Machine, equipped with 16 LEDs, moves around a time exposure photo is taken from above. 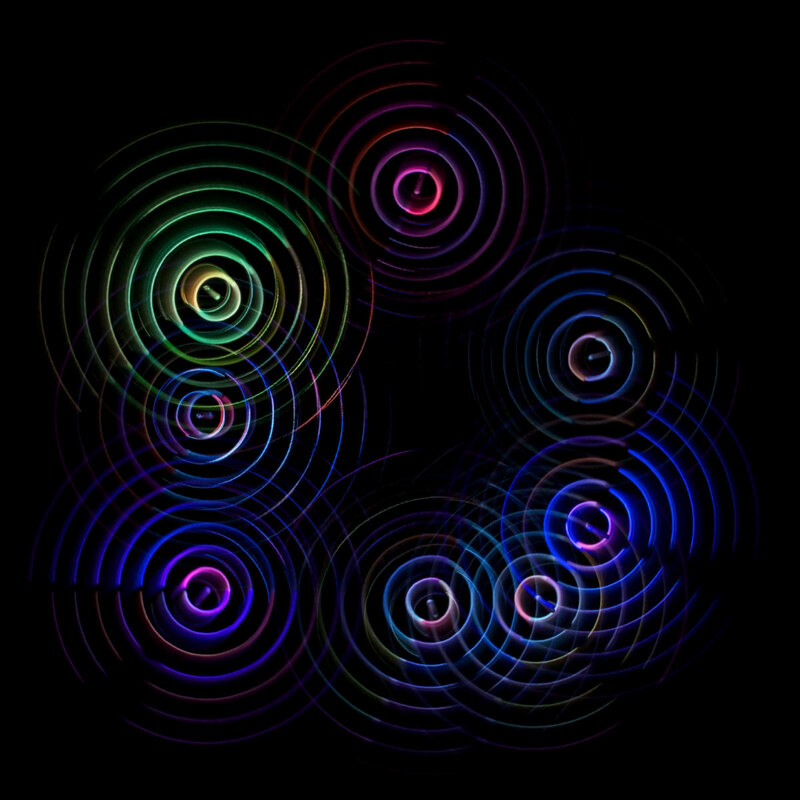 The digits define if and where a circle is drawn but also the colours and angles. 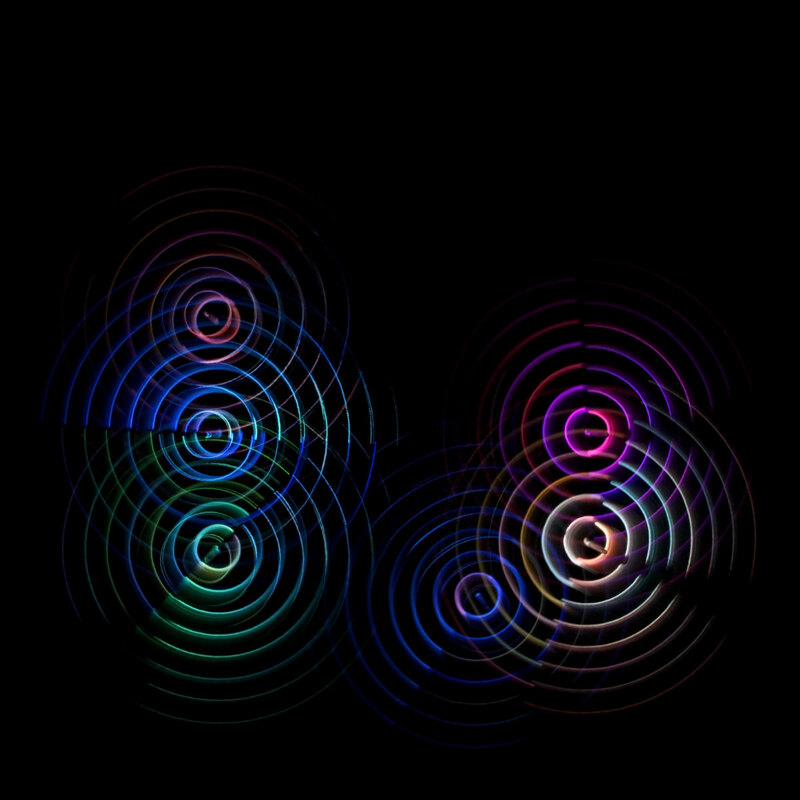 All together 3861 decimal places were used to create the whole edition. 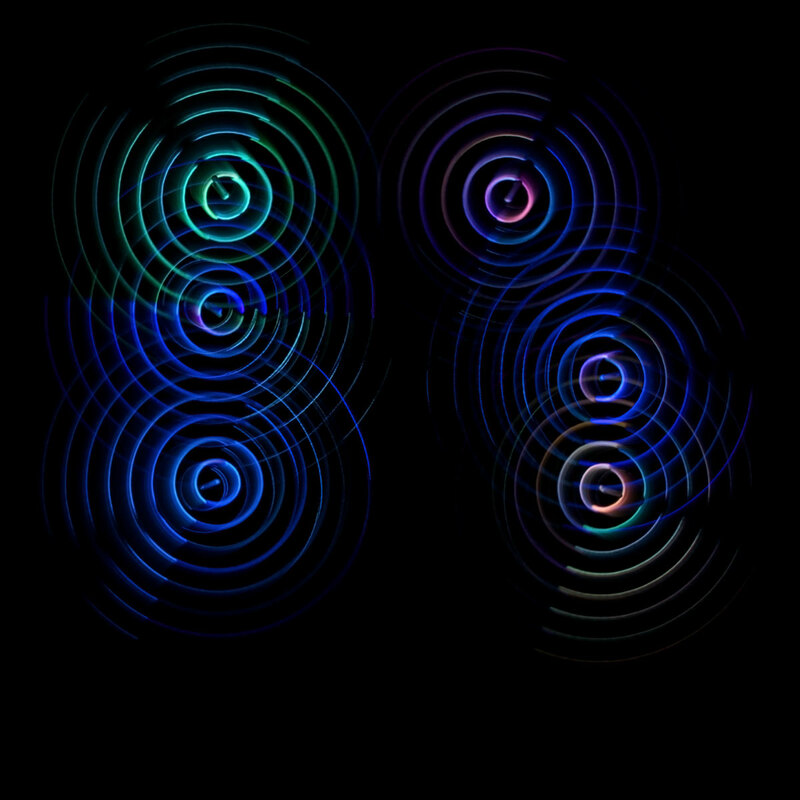 Each photograph is reproduced only once and is signed on the back side.